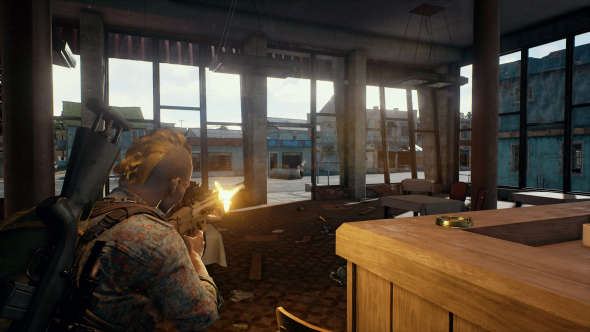 PlayerUnknown’s Battlegrounds is pulling in more concurrent players than Counter Strike: Global Offensive. Well, it was for a brief time, anyway. Brendan “PlayerUnknown” Greene announced the news on Twitter, thanking “one and all” for pushing CS:GO’s concurrent players total (238,742) temporarily below Bluehole’s 239,167. Need to git gud at PlayerUnknown’s Battlegrounds? Here’s our guide to the best gear locations, weapons, tactics, and survival tips. After shifting four million copies in its opening three months, it’s safe to say the Early Access battle-royale shooter has been a breakout hit. So while this marks the first time PUBG has surpassed CS:GO on the concurrent chart, it’s likely it won’t be the last. A recent datamine trawl threw up a loadof pretty extraordinary Mad Max-esque PUBG gear.